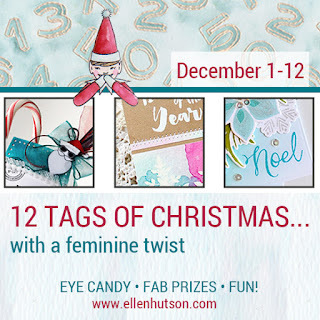 I'm so honored to be the guest designer for today's edition of 12 Tags of Christmas with a Feminine Twist, hosted by Ellen Hutson... be sure to visit the Classroom blog to see all the entries - there's quite an impressive team! I watercolored the Ornament Collage image with a combination of Brusho and Peerless watercolors, then added details with Spectrum Noir pencils and some gold acrylic paint. To create a little dimension on the ornaments, I traced the edges with a stylus, then flipped the panel, and rubbed inside the outlines with the rounded end of my bone folder. It's a small detail but it adds just a little lift - here's a closer look. The seam binding was dyed using 2 colors of Brusho powders, and I made it sparkly by mixing in a little gold acrylic paint as well. 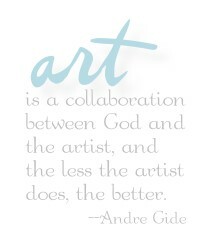 The sentiment here is from one of my newest clear sets from Impression Obsession - Winter Silhouettes. Thank you so much for visiting me today - be sure to click over to the Classroom for more challenge and product details! 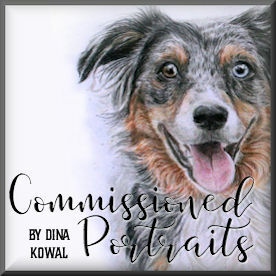 Dina, no one can color like you. This is absolutely stunning. 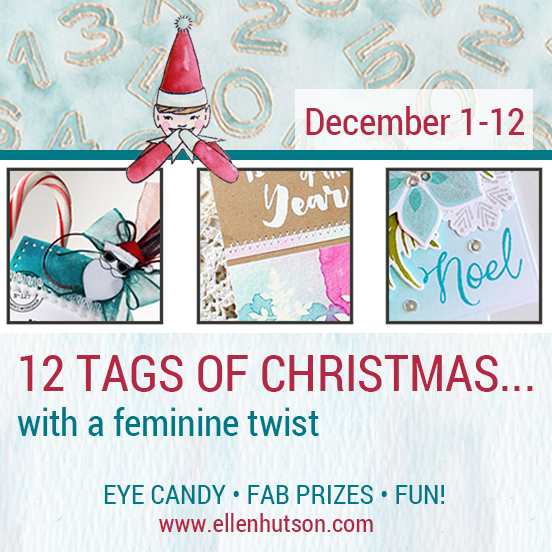 I am so thrilled that you were my partner for the 12 Tags of Christmas with a Feminine Twist. Every. Little. Detail. That's what makes your work soar. There aren't enough words in the dictionary to convey how much I love this. Perfection! Absolutely gorgeous and artful. Your designs always amaze me. Your tag is drop dead gorgeous! Seriously! I LOVE it here, but when I first saw it on Instagram, it took my breath away. 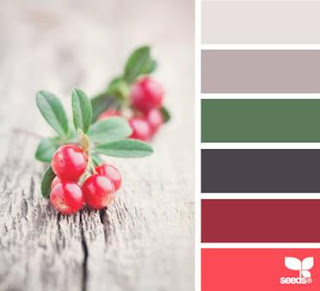 The dimension, glow and shine on your beautifully colored ornaments are stunning Dina. I love your mixed media background design, died ribbon and colors too. TFS my friend. This tag is just breath taking. Thank you for the inspiration. This tag is gorgeous! I love everything about it! Your depth of color adds such dimension. Thank you for your inspiration. Beautiful tag. Wish I could color like you.